One of the things that strike me about Our Lord’s interactions with the Pharisees is that the Pharisees clearly believed they were living God’s Law as He wanted the Jews to live it. So when Jesus began pointing out how they were missing the point on some crucial areas and putting emphasis on things that were less important (“straining the gnat and swallowing the camel”), they resented it. The fact that Jesus was telling them that they too needed to repent offended them. Indeed, Our Lord was seen as dangerous in their eyes and a threat to their comfortable view on what was right and wrong with the world. The Church tends to get treated the same way as Our Lord does (which He warned us about). The Pope teaches on a topic which threatens our comfortable ideas on what is wrong in the world, and suddenly we get offended. We accuse him of being ignorant, or of being political or of being heretical. 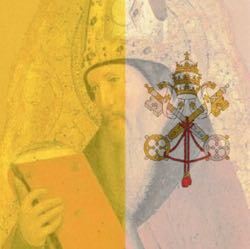 But when we consider what the Pope is supposed to do (shepherd the Church as the vicar of Christ), we should be considering whether we are blind to faults that interfere with our relationship with God. That brings us to today’s discussion on the encyclical. The Pope starts Chapter VI by stating that human beings need to change (¶202). We are unaware of our common origin, mutual belonging and shared future, and we have to become aware of them if we are going to face the changes in life. Basically, this is an application of metanoia—changing direction and repenting of our past wrongs and turning back to God again. However, he does not stop with the negative, as if we were totally depraved and could not do otherwise. He says we are capable of rising above these behaviors with the help of God-given abilities. In doing so, we can consider what changes we need to make to our lifestyle and how that can impact the world. He reminds us of the successes of boycotts in the secular world as an example of effecting a moral change, and says we can do the same with the moral issues in relationship to the environment (¶206). He also calls for environmental education, which makes a lot of sense. We tend to use ideological preferences as a substitute for informing ourselves. We have two factions (I leave for others to decide what percentage they make of the whole) who assume that the other side is based on politically motivated bad will. Such education needs (¶211) to help instill good habits at the basic level for individuals. Basically we need to ask ourselves whether we could change our behaviors in such a way which leads us to be the good stewards of creation that God calls us to be. In other words, even committed Christians can be misled into rejecting the concerns of the environment. That’s understandable. In my 20s, environmentalism, when it was considered at all, was considered part of the whole “New Age” “Gaia” concept of Pantheism. The only part of St. Francis that we ever saw was the rather goofy Brother Sun, Sister Moon. So, yes, we were skeptical. But actually we were guilty of the argument from ignorance fallacy—we assumed that because we never saw any orthodox discussion about the environment, that it didn’t exist. But it does exist, as Pope Francis and his predecessors have pointed out—indeed it was Benedict XVI who first persuaded me that we had to consider moral implications as to how we treated the environment. He points out that an attitude of repentance involves considering all of our “our errors, sins, faults and failures, and leads to heartfelt repentance and desire to change” (¶218). Logically that includes our abuse of God’s creation. But it’s not enough to do individual actions—individuals who feel alone can be crushed (see ¶219). It takes communities to make a stand that can be effective. In other words, we need to apply to our stewardship for God’s creation the same things we are called to apply in the rest of our life. Moderation, being grateful for what we have, overcoming materialism with the attitude of “less is more.” (¶222) If you think this sounds like liberalism, I strongly advise you to pick up the old Lives of the Saints by Alban Butler and read about how the saints—even those who were kings and queens—carried out this mindset. The Pope also urges people to get back in the habit of saying grace before and after meals (¶227) because it reminds us of the blessings God has given us in life, reminding us of our dependence on Him and being grateful for what we have been given. 236. It is in the Eucharist that all that has been created finds its greatest exaltation. Grace, which tends to manifest itself tangibly, found unsurpassable expression when God himself became man and gave himself as food for his creatures. The Lord, in the culmination of the mystery of the Incarnation, chose to reach our intimate depths through a fragment of matter. He comes not from above, but from within, he comes that we might find him in this world of ours. In the Eucharist, fullness is already achieved; it is the living centre of the universe, the overflowing core of love and of inexhaustible life. Joined to the incarnate Son, present in the Eucharist, the whole cosmos gives thanks to God. Indeed the Eucharist is itself an act of cosmic love: “Yes, cosmic! Because even when it is celebrated on the humble altar of a country church, the Eucharist is always in some way celebrated on the altar of the world”. The Eucharist joins heaven and earth; it embraces and penetrates all creation. Laudato Si is not a climate change document. It is a document about the stewardship God has given us over the Earth. Such a stewardship is not a license to use or abuse the world in whatever way benefits us. Ultimately, we are called to love God and love what He has created. That’s obvious when it comes to our fellow human beings—or rather, it used to be obvious. But ultimately, we in the industrialized world have become utilitarian and look at the Earth, each other, and even God in the sense of “how can this benefit me?" Pope Francis reminds us that our first approach is love of God. Out of love for Him, we love our brothers and sisters and do not do things which cause them harm. Also out of love for Him, we show gratitude for the world He has made and use it responsibly. When our actions break one or more of these obligations, we have turned away from God and towards sin. Hence, the Pope calls us to turn back to God—in all areas of our life.